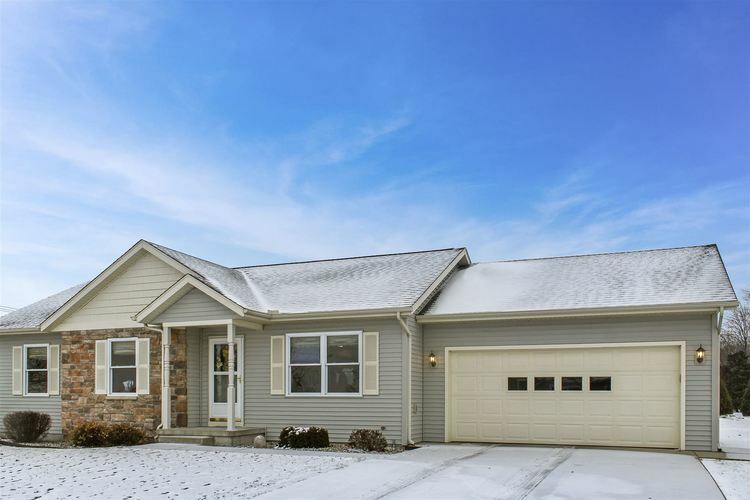 Previously featured in Parade of Homes and built by Miller Brother Builders, this home has been extremely well maintained and is ready for a new owner. Cathedral ceilings in the open concept living/dining room area make entertaining a breeze. Main level laundry is a huge bonus. Basement was finished by Miller Brother Builders and is plumbed and framed for a 3rd bathroom. Check out this home today before it is sold. Directions:US 33 south of Goshen, turn west onto CR 42. First home on the East side of Southfield Circle.